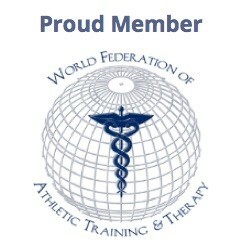 Taiwan Athletic Trainers’ Society (TATS) are now proud members of the World Federation of Athletic Training and Therapy (WFATT). WFATT works to achieve international recognition for Athletic Training and Therapy as “an essential part of multidisciplinary healthcare teams”. WFATT holds an annual World Congress to promote its vision, network and discuss new and upcoming research.